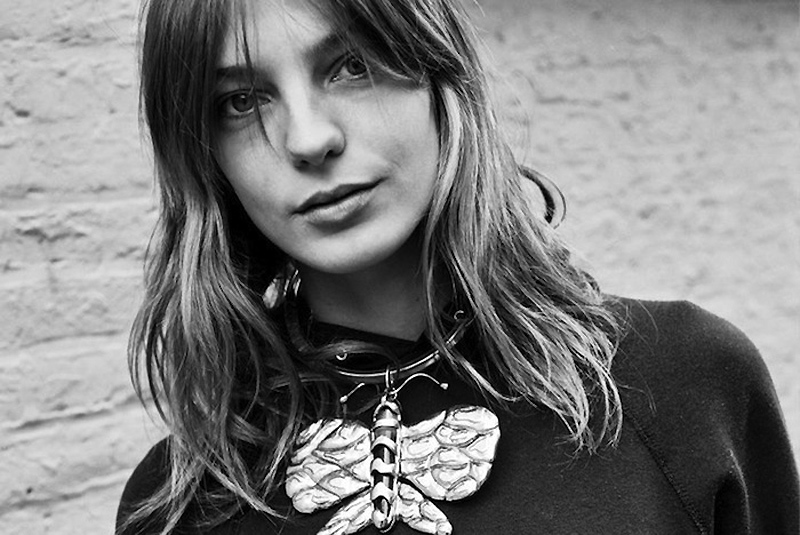 While visiting Molly's beautiful blog this morning I can across these wicked shots of Daria Werbowy in some of her personal jewellery shot by Gigi Stoll for Vogue Paris. I'd love to sneak a look at her jewellery collection..
Fabulous! Love how those jewelries looked pretty and meticulously detailed. Great shot. Wow I really love these shots! Thanks for posting them! stunning photo's. I love her jewellery. she's another girl who looks so effortlessly chic and cool all the time! omg amazing! those jewels are so beautiful, as is she! Love the first shots jewelry & just love her in general. adore the necklace...I am obsessed with statement necklaces at the moment! Thanks for the post! someone tell me what that huge butterfly necklace is? I remember seeing it years ago but am lost...amazing.